This past Sunday was my perfect day. After a slow morning that included giant bowls of oatmeal drizzled with maple syrup, reading piles of books, and playing with trains, we hit Starbucks for a mid morning pick me up. Then we took the kids on what could generously be considered a hike. One of the reasons we love our town is the plethora of gorgeous parks with walking/biking trails. We did a 2.5 mile loop around a beautiful lake. It was incredible to get outside after the weeks of rain. The kids were troopers and even with a mid hike diaper change it was a great morning. The kids took a nice long nap and I watched an episode of Giada in Italy. Have you seen the new pots and pans she is using?! 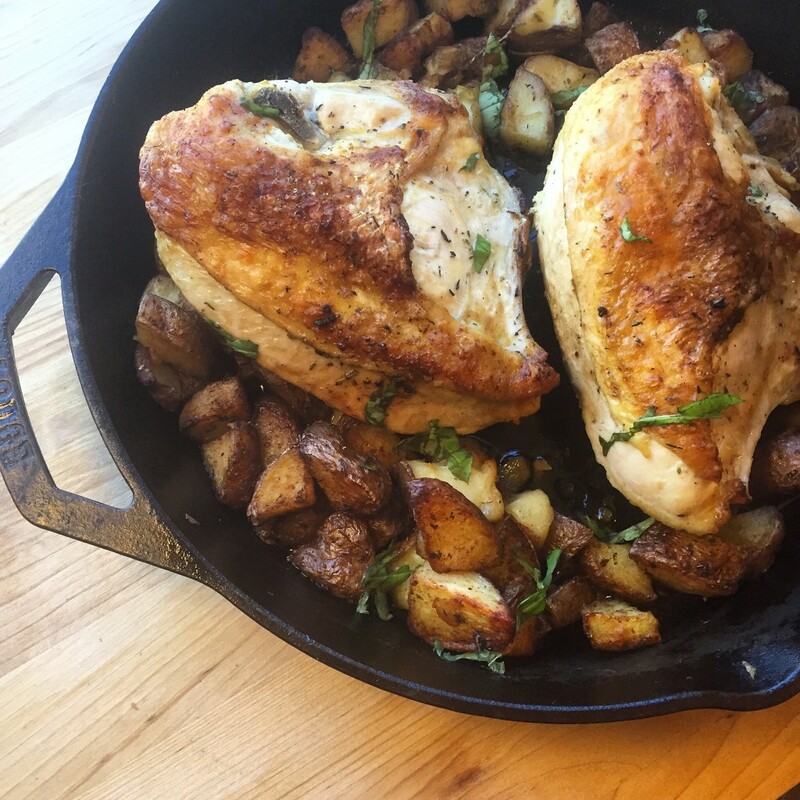 Then came dinner, Skillet Roasted Chicken Breast with Red Potatoes. Whole bone in chicken breasts seasoned with lemon, rosemary, thyme, and garlic. Then seared to lock in the moisture and roasted in an oven safe skillet. 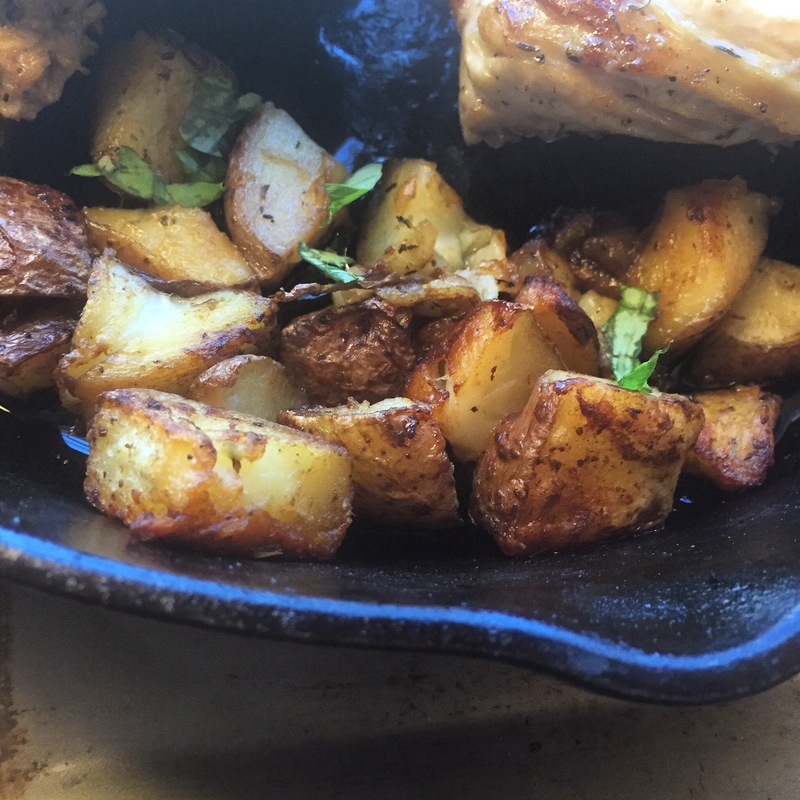 Diced red potatoes tossed in olive oil, thyme, and lemon herb blend, softened and roasted in the skillet with the chicken breasts. But instead of getting soft and mushy they get beautifully crisp and golden like fried breakfast potatoes. These are Jordan’s favorite potatoes. Not his favorite potatoes that I make, his favorite POTATOES. He would rather have these potatoes than Five Guys Fries. 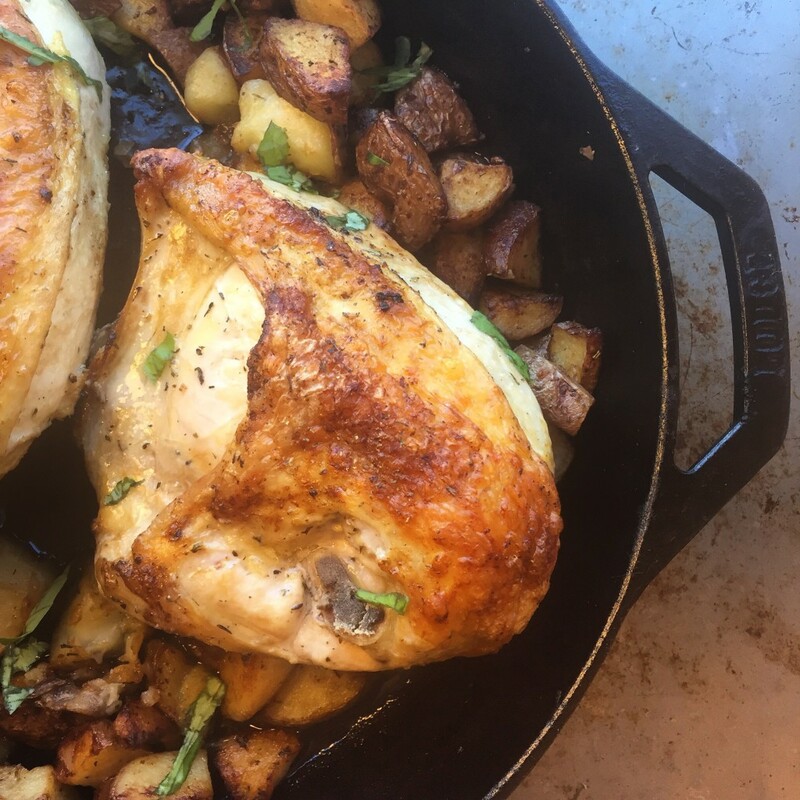 Plus everything gets seared and roasted in the same oven safe, in our case cast iron, skillet which means delicious, moist, roasted chicken breast and crispy roasted red potatoes ready in an hour with only one dirty pan to wash! 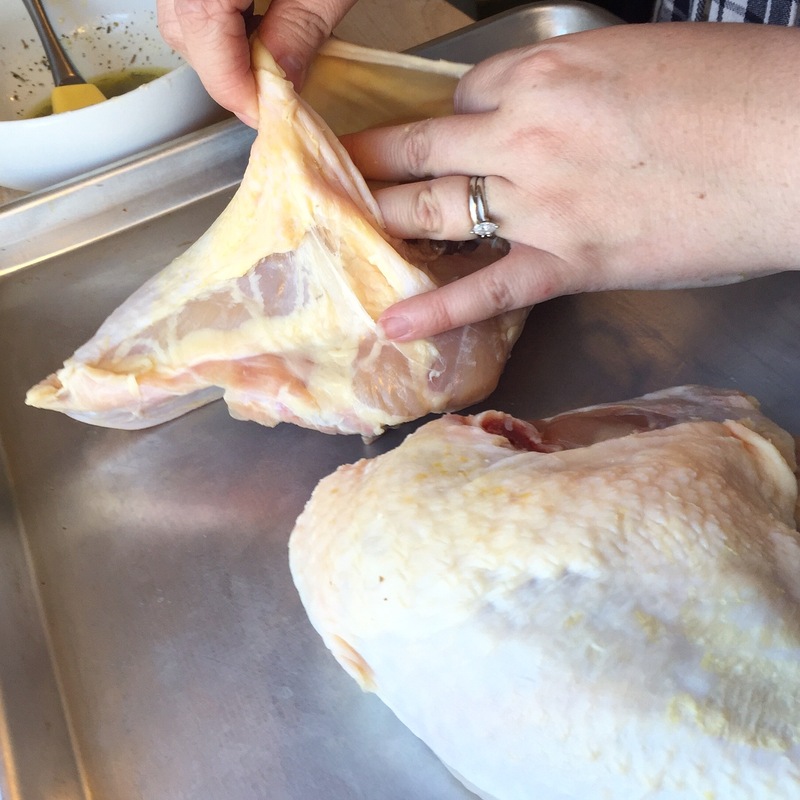 Remove chicken from packaging and allow to come to room temperature. In a large microwave safe bowl toss diced red potatoes with olive oil and spices. Cover your bowl tightly with cling wrap. Microwave on high for 5-7 minutes. Allow to cool in the refiderator while you prep your chicken. Preheat oven to 450 and position rack to the lowest setting. Stir melted butter, olive oil, garlic, lemon zest, lemon juice, lemon herb blend, salt, and pepper in a small bowl. Pat the chicken dry with paper towels. 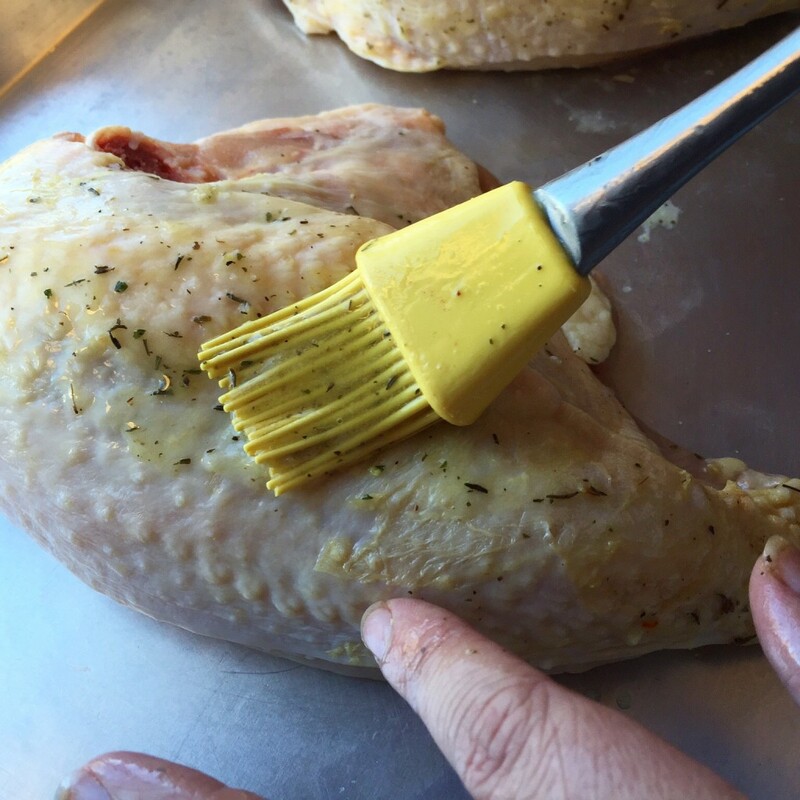 Rub the butter mixture over both sides of the chicken and between the breast meat and skin. 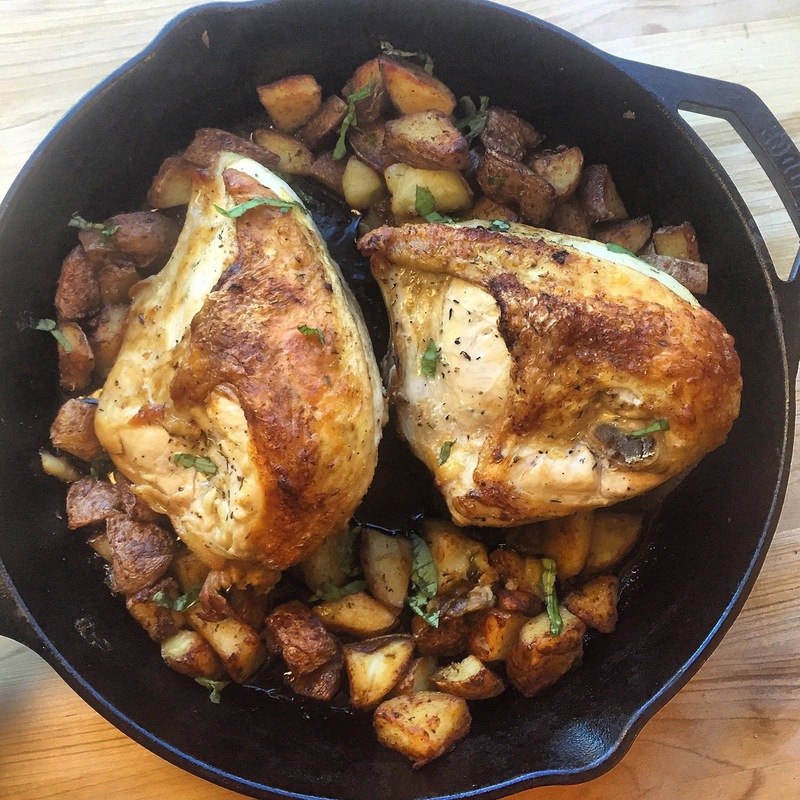 Heat a large cast-iron skillet with 1 tablespoon of olive oil over medium-high heat. Add the chicken, and cook until the skin is browned, about 5 minutes per side. Remove chicken and set aside. 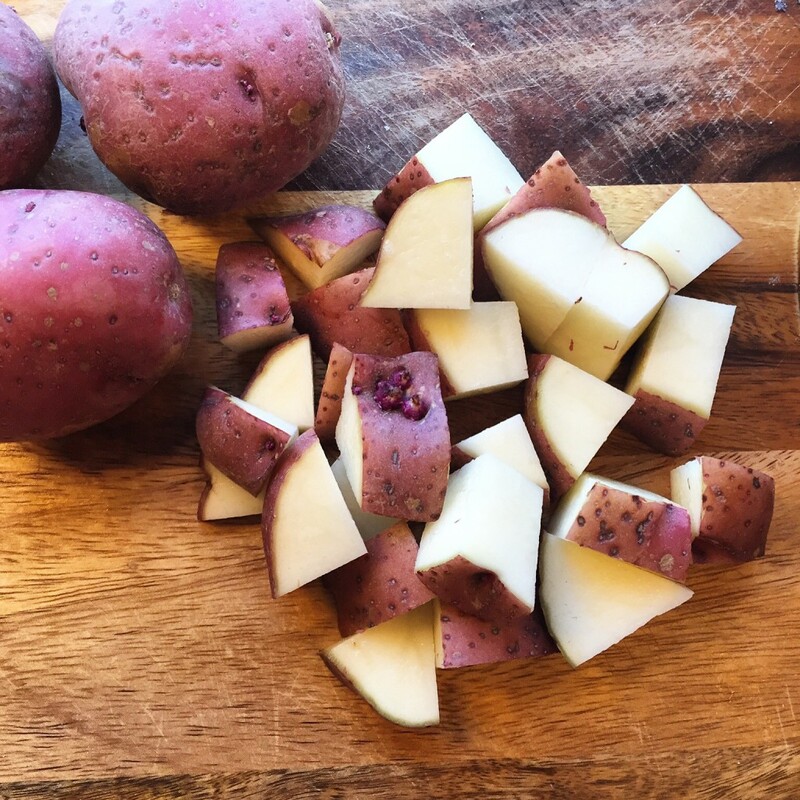 Add your softened red potatoes to the skillet. Cook, stirring occasionally, until they start to brown. 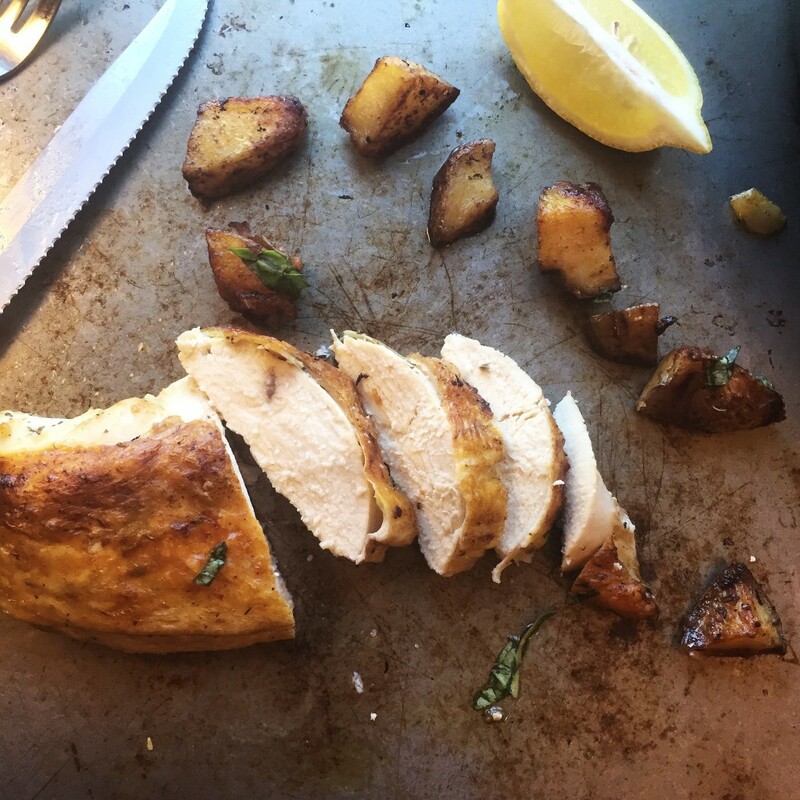 Put your seared chicken breasts on top of the potatoes skin side up. Bake for 40-45 minutes stirring your potatoes half way through cooking.